The perfect upgrade from a car - The Beta 2S is the newest, most refined vehicle with the rear seat removed creating 40% extra space inside. Well suited to two people looking to travel more discreetly with improved comfort, privacy and space. It also contains all the essential travelling equipment including a dual burner cooker, fridge/freezer, full size double bed with an extendable sleeping option under an awning , water supply, seating for two, air conditioning and a stereo with MP3 player. Just the fact that you are driving a good car has its own cost savings and advantages in comparison with bulky campervans and motorhomes. • Self-Charging Dual Battery System – with up to 24 hours battery life so you don’t need powered camps each night. • Large Lockable Storage Space. • Improved access and privacy with more space to get changed inside. • A newer, lower mileage vehicle with reduced branding. 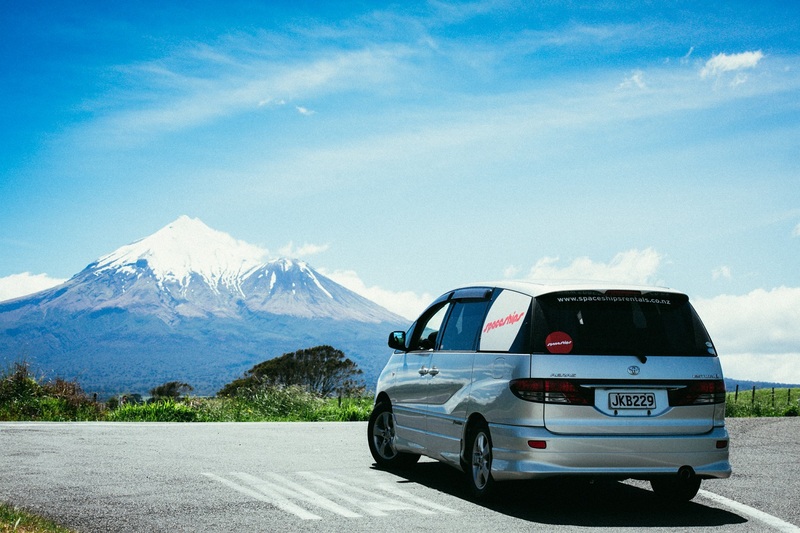 • Enjoy the freedom and flexibility of driving a cost-effective vehicle with the option of either staying in a hotel or at a campsite. • Lower fuel costs because of vehicle size. 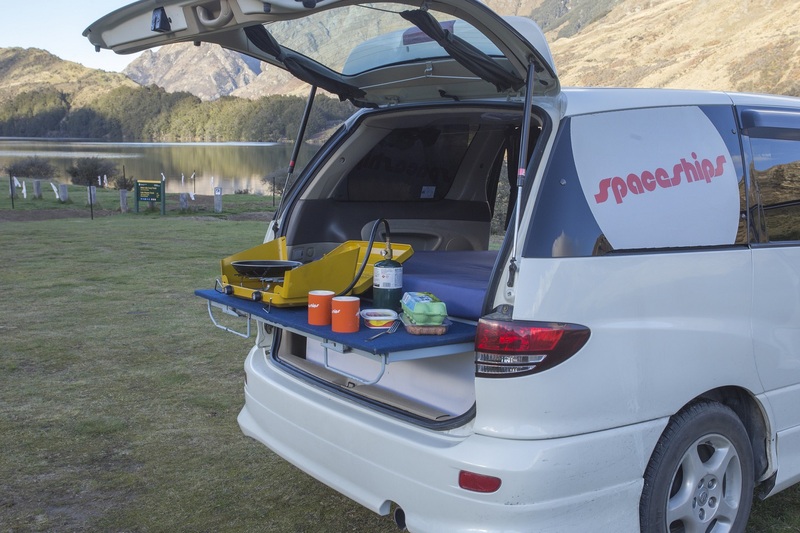 • There is no need for powered sites in camping grounds as Spaceships second battery self-charges as you drive giving you more freedom and saving you money. • Save money on the ferry as a Spaceship is classified as a car. • Better sleeping environment with larger comfortable bed and insect-proof vented windows for air circulation. • Extra long bed to 2.37m - available on request. • Free after hours pick up and drop off service available.